Did the beaver have a list of demands? What was on the beaver’s list of demands? Did he want a million dollars and a helicopter, or was he just after some good dam building thrush? What was he so upset about? Was he tired of the way his wife sarcastically says, “yeah, he’s as busy as a you-know-what,” when he hangs out with his buddies the muskrats, most of whom she does not approve? Did he stumble upon a mirror and shockingly discover how ridiculous his teeth look? Was he fed up with all the new EPA regulations that are making dam building a nightmare of red tape? Was he just sick of hauling around stones and mud in the muck? Who was the guy he’d taken hostage? Was it some jerk throwing rocks at his dam? Was it a smart alec who made one too many derisive comments about his big floppy tail? Or was it one of those jackasses from the EPA who are always up in his business? I decided to read the article to find out. A rogue beaver struck terror into the heart of a man making his way home late at night in the Latvian city of Daugavpils, according to a local newspaper report picked up by Latvian Public Broadcasting. The man, identified only as Sergei, says the beaver ran out of some bushes and suddenly bit him. He fell over as he tried to fight the rodent off and was bitten again as he tried to get up. In what USA Today describes as a “Kafkian nightmare,” Sergei phoned police as the beaver “held him hostage” and refused to let him get up, only to have his plea for help allegedly dismissed as a prank call. I can’t be certain, but I think USA Today may be confusing the works of Franz Kafka with Mad Magazine. Sergei managed to persuade an initially disbelieving friend to come to his rescue, but the friend was pulled over by police for speeding. Cops—after breathalyzing the friend—accompanied him to the scene and discovered he had been telling the truth about the hostile beaver. It is literally impossible to read the preceding paragraph and not feel happy. And I would be remiss if I didn’t point something out: every time I’ve been pulled over for speeding because I was on my way to help a friend who was being held hostage by a beaver, the police here in the great Commonwealth of Pennsylvania have been nothing but helpful. Sure, they beat me tree branches and taser me a bit, but that’s to be expected. Animal welfare officers were called and the man’s ordeal ended with him receiving 15 stitches, though the beaver is still at large. Latvia’s TV.Net reports that authorities in Daugavpils are taking the incident seriously, though it is “quite difficult to choose the measures which should be taken” to prevent similar attacks by beavers, which can become increasingly aggressive when they seek out new homes in spring. The beaver is still at large? So the beaver outsmarted Latvian police and animal welfare officers–good for you beaver…good for you. Latvian police sketch artist rendering of alleged perpetrator–be on the lookout. 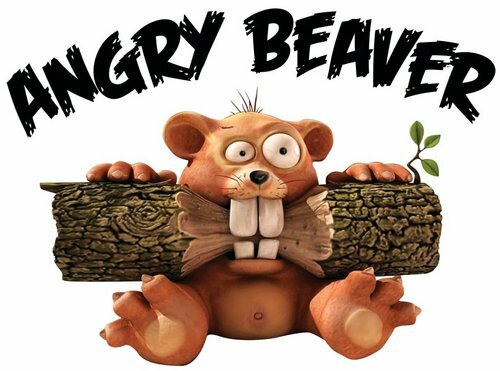 I think the Beaver was actually Canadian and trying to get shipped back to his home land because of the “Ridicules Presidential Race” and he’s slipped over the border already because he was in fear for his life!! 🙂 LOL…. We all fear for our lives. I don’t blame you!! 🙂 Good Luck! Maybe gun laws for giant rodents are stricter in Latvia. That must be the case! Punxsutawney Phil hasn’t left for Staten Island, but I think they keep him in a cage. Maybe Chuck didn’t care for the mayor’s policy on giant rodents. More like a Kafkian Metaphor… men being held hostage by Angry Beaver is a story as old as time itself. It’s a story that’s been seen painted on cave walls. Ha! Very good. 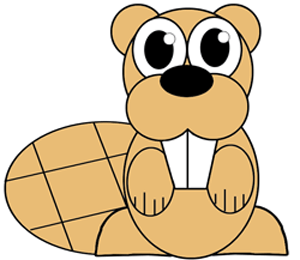 Who does not like an awesome rabid beaver story? Well at least from the sidelines. I like to watch those sort of things from afar. Apart from maybe Sergei, everyone loves a good rabid beaver story.